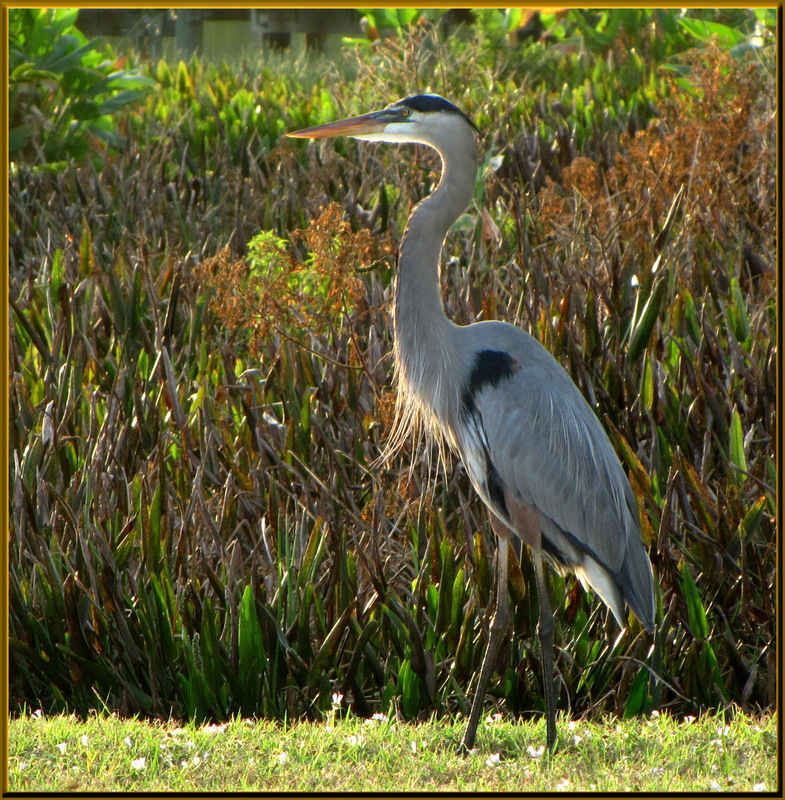 The Great Blue Heron can be spotted in most parts of North America, but they flourish in Florida at certain times of the year. Ever since I saw my first one in early 1972 I have been quite impressed with their size and beauty. Not until the past few years have I become enamored watching and photographing them in the wild. 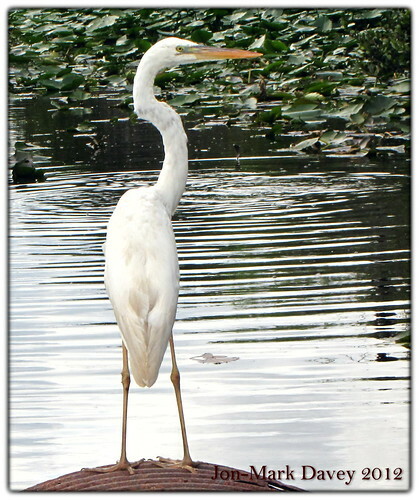 Jo, my wife, and I are very fortunate to live in South Florida where GBHs are plentiful year ’round. We don’t go too many days without seeing at least one somewhere between home and any destination, including the grocery store. And, on some occasions when we are out in nature we will be able to enjoy dozens of them in all colors and maturity. 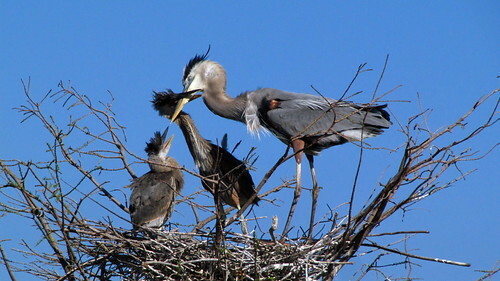 Great Blue Heron parents are very good at raising their young to maturity. 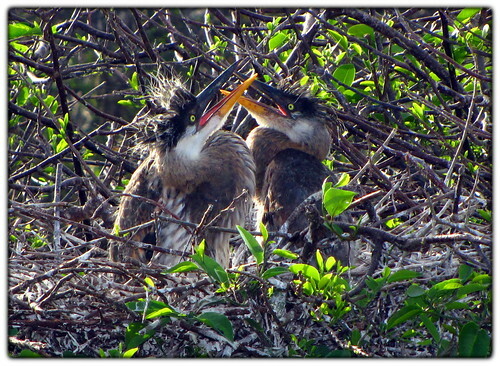 In the South Florida rookeries we are able to watch the entire process from breeding through chick raising to fledgling as close to us as the end of your binoculars or camera lens. 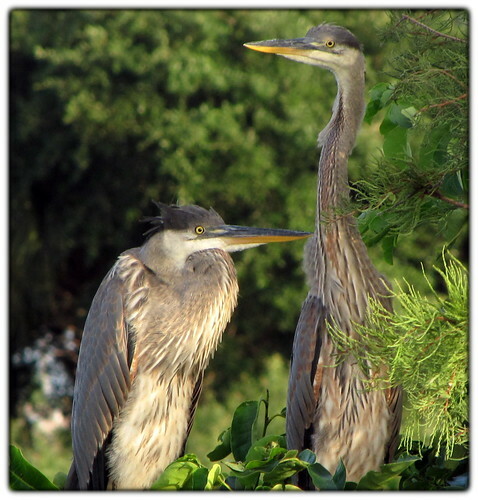 In 2010 we held a birthday party in a local county park where we enjoyed not only good food and fun with our family and friends but as many as 7 Great Blue Herons fished in the pond where we pitched our party tent. Needless to say, most of our part spent a great deal of time watching these crafty birds spear fish and eat them whole with just a quick beak flip. That day we learned that the Lesser Terns got their jollies from fishing a foot in front of the GBHs. Watching that play out across the lake was better than watching a football game on TV for us. It was spectacular to watch these small Terns dive over the head of the GBH, splash into the water and retrieve a Sardine size fish within striking range of the GBH. And yes, we have seen a GBH try to grab a Turn right out of the air. 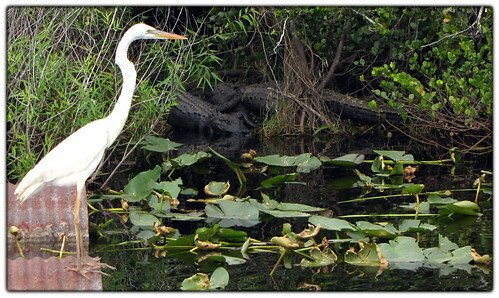 Photographers visiting the Wakodahatchee Rookery near Boynton Beach get some great shots without the need for a $9000 telephoto lens. 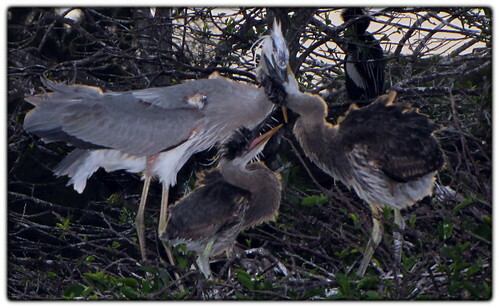 Check out this special Heron feeding her 3 -4 week old chicks. They grow rapidly. 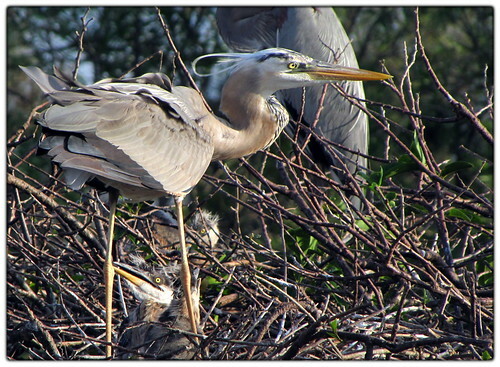 .. and finally we also have a Wurdemann’s Heron with her chicks. These birds are rare and beautiful. Check out that ‘flip”. This is one of my favorite sights as I look out over the Everglades or savannahs or swamps in Florida, a Great Blue Heron, standing proud in the early evening. If you like this page please invite others to check it out too. Wonderful and Beautiful website! Thank you! Thank you. I’m glad you like them. I love wildlife photography and sharing pictures is the ultimate use of the shots. Thanks Walt. Love these birds. WordPress needs a “Love” button! These photos are stunning!!! Thanks for checking in. I love sharing wildlife shots. Invite your friends to check out the site.